It has been perfect soup weather lately. 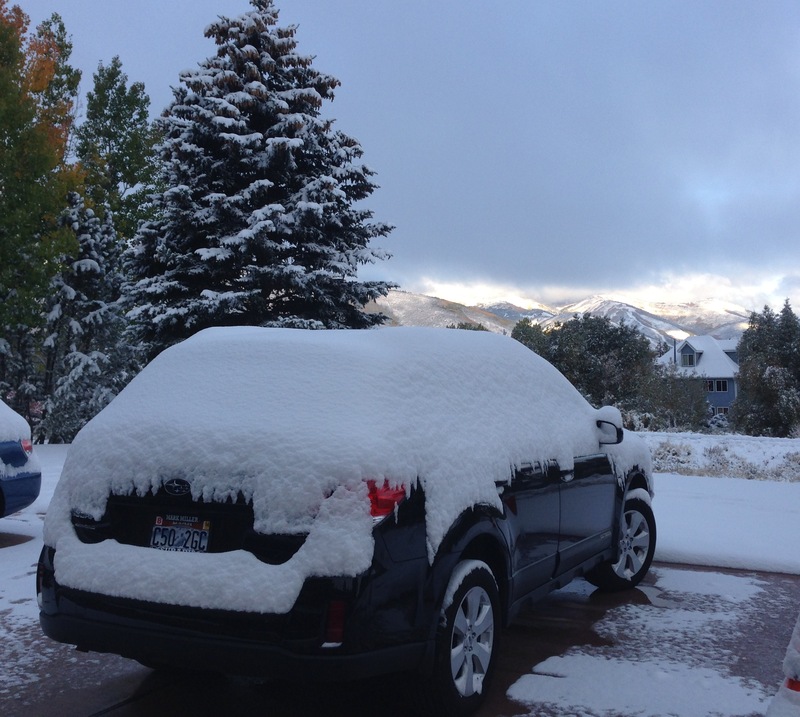 It snowed 3 days last week- enough that I needed a scraper to get the snow off my car one morning (too bad I couldn’t find one because when do you ever need an ice scraper in October? I ended up using a plastic spoon…not so helpful it turns out). 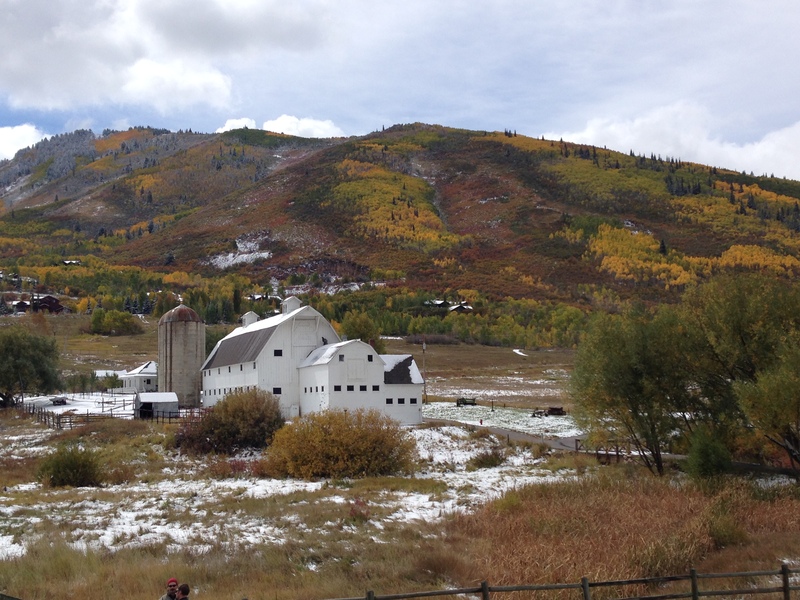 The fall foliage is at its peak right now and the fresh snow against the bright leaves has been gorgeous! There is nothing more satisfying then a bowl of hot soup on a cold day. Normally when you think of chowder, you think of a rich soup thickened with heavy cream. What is particularly wonderful about this corn chowder is its creamy base is created by pureeing vegetables, giving the soup a chowder like consistency with out all the fat. 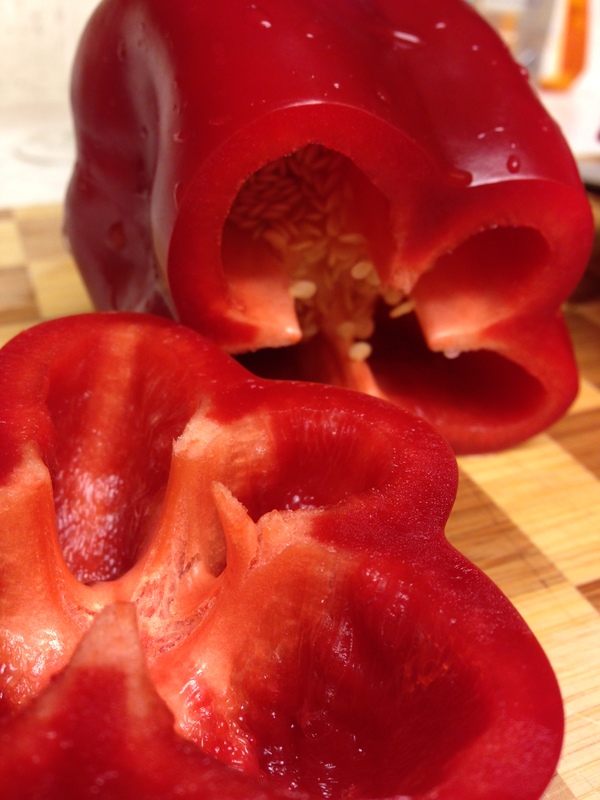 This recipe can easily be made vegan or vegetarian by substituting olive oil for butter and vegetable broth for the chicken stock. The fresh corn, carrots, peppers and dill give this chowder amazing flavor and makes for an easy week night dinner! It also makes enough for leftovers which are perfect for lunch the next day or you can pop it in the freezer for a quick meal later! 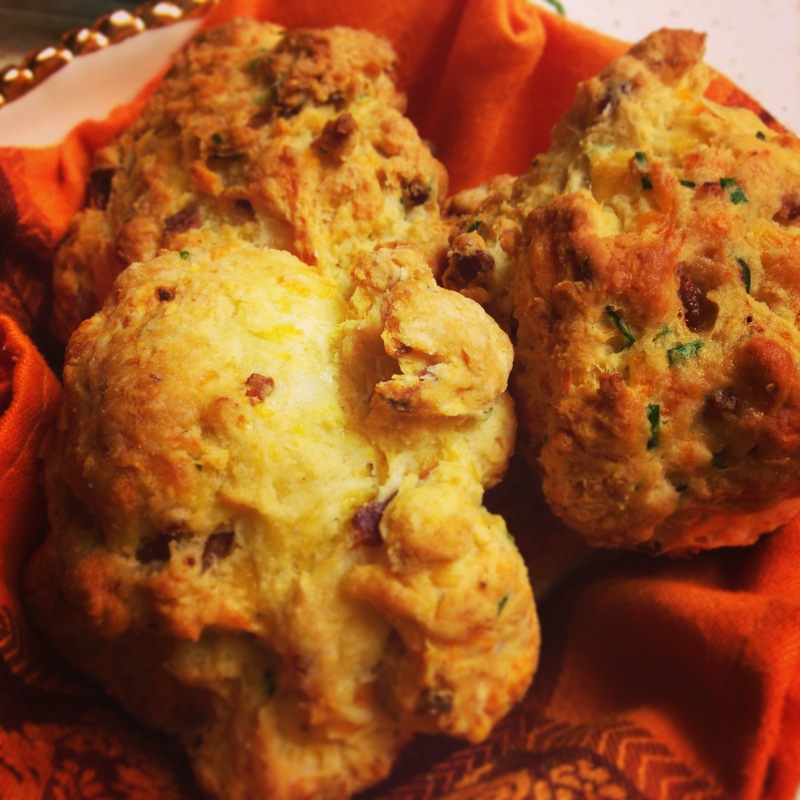 The bacon, cheese and chive biscuits pair perfectly with the flavors of the chowder and are great for moping up the leftovers at the bottom of the bowl. 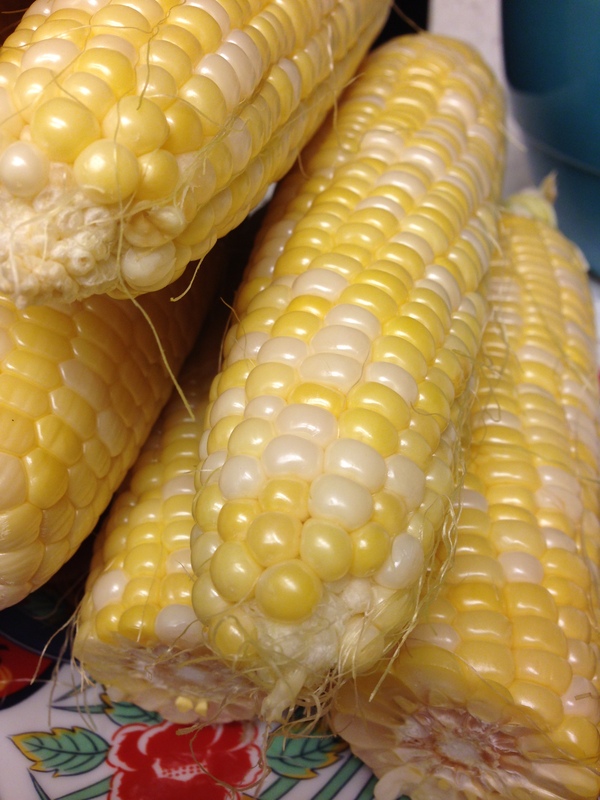 Corn, bacon, cheese… what more could you want on a cold fall day? Enjoy! This biscuit recipe was originally from Bon Appetit. I tweaked the recipe a bit- The original recipe calls for sharp cheddar however to liven up these biscuits sub out cheddar for pepper jack for a spicy kick! 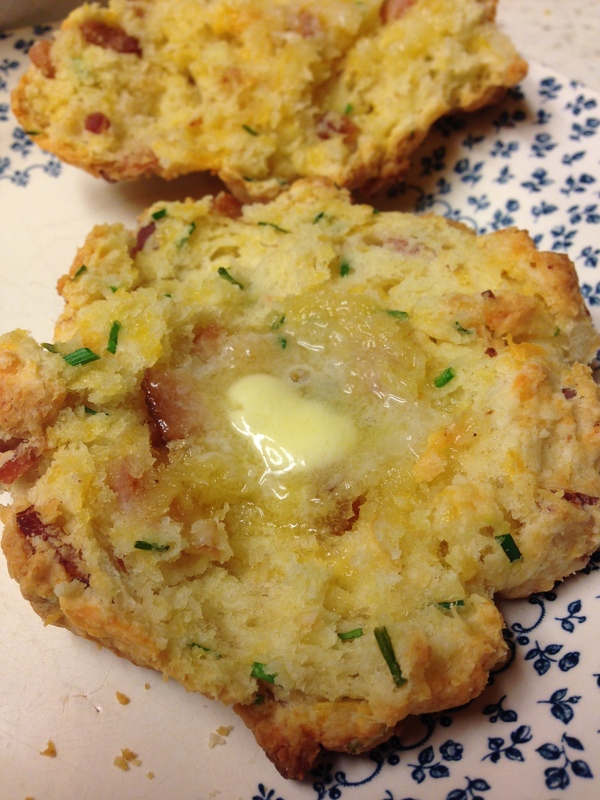 I also added more bacon as I felt there was not enough bacon in each biscuit. Position rack just above center of oven and preheat to 425°F. Line a large baking sheet with parchment paper. Cook bacon in heavy large skillet over medium heat until crisp and brown. 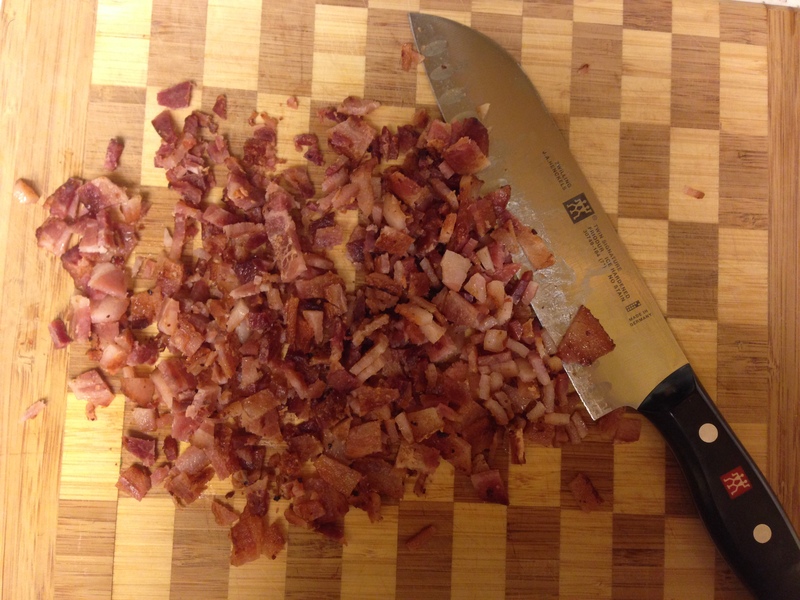 Transfer bacon to paper towels to drain, then chop coarsely. Combine flour, baking powder, baking soda, and salt in a food processor; blend 5 seconds. 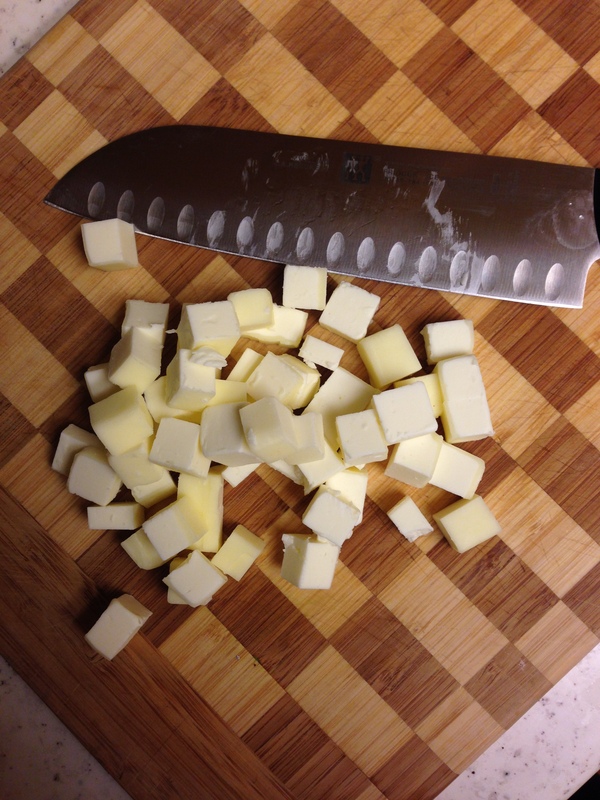 Add butter cubes. Blend until coarse meal forms, about 30 seconds (this can be done by hand by cutting the butter into flour mixture with two knives or by grating chilled butter into flour mixture with a box grater). Transfer flour mixture to large bowl. 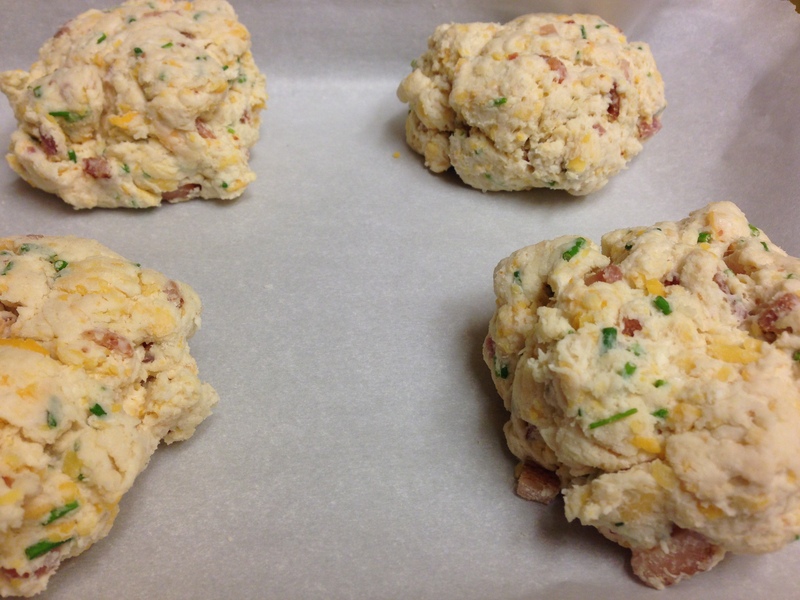 Add cheese, fresh chives, and chopped bacon; toss to blend. Gradually add buttermilk, stirring to moisten evenly (batter will feel sticky). Bake biscuits until golden and tester inserted into center comes out clean, 18 to 20 minutes. Brush biscuits lightly with melted butter. Let cool 10 minutes. Serve biscuits warm or at room temperature with honey, if desired. Makes 12 biscuits. 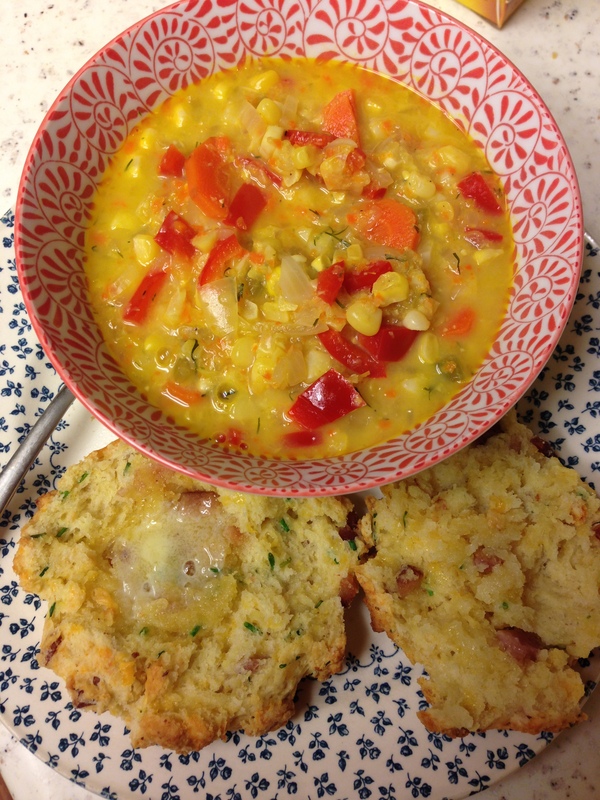 This entry was posted in Baked Goods, Entrees, Recipes, Sides, Soup and tagged bacon cheese biscuits, creamy corn chowder, savory biscuits, vegan corn chowder by skibootsinthekitchen. Bookmark the permalink.